Who is Sophia ‘The Humanoid’? 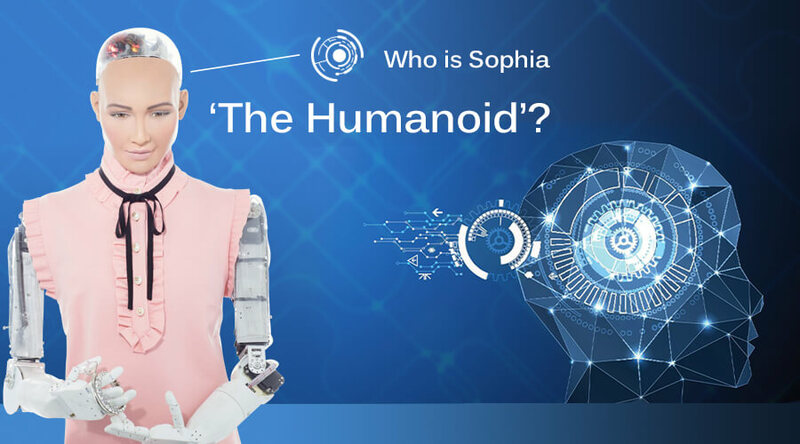 Home › Our Blog › Artificial Intelligence › Who is Sophia ‘The Humanoid’? The Terminator movie series almost had us believing that the future just might eerily be dominated by robots. While the picture of the future we perceived back then was quite intimidating, the reality at present seems far from frightening. Today, we have Sophia – a humble and optimistic robot that understands the consequences of its actions; and therefore, weighs its options before vocalizing its thoughts; or more precisely ‘its intelligence’. How come? Take a look at how she responds to an announcement by panel moderator and business writer Andrew Ross Sorkin at the Future Initiative Conference at Riyadh, Saudi Arab. Andrew: “We have a little announcement. We just learnt, Sophia; I hope you are listening to me, you have been awarded the first Saudi Arabian Citizenship for a robot”. Yes! That’s right. World’s first humanoid robot with a citizenship for a country! Coming from a robot, the response is at least rational, if not the best we could expect. So what exactly is Sophia? 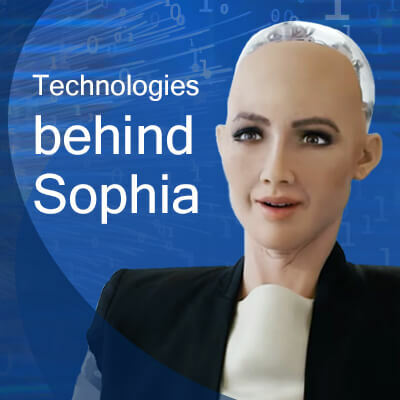 Sophia is a humanoid robot, which has been designed to learn, adapt and thus, work with humans in the best of their interests. Back in 2015 on 19th April, Sophia was initiated for the very first time. Created by Dr. David Hanson of Hong Kong-based ‘Hanson Robotics’, Sophia has multiple aspects to its technology that cumulatively allow her to behave, think and respond to certain queries and involve in simple conversations. Notably, the robot’s deep cognitive intelligence is capable of determining appropriate facial expressions while conversing; making the robot look as good as real. And oh, did we tell you that Sophia’s face has been modeled after Audrey Hepburn, who was one of the greatest British actors of all time. Sophia is equipped with state-of-the-art robotics, which uses different advanced forms of technologies of the present. A magnum-opus of Dr. Hanson, Sophia’s technology mainly has three aspects: Artificial Intelligence (AI), Visual Data Processing and Facial Recognition. Artificial Intelligence allows Sophia to understand human conversations and respond accordingly. 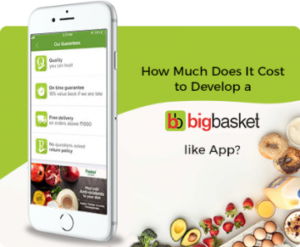 This is possible because of Machine Learning and Natural Language Processing (NLP) algorithms that the robot follows. This part of Sophia’s technology is powered by SingularityNET – a blockchain-based decentralized AI economy, which uses Smart Contracts to trade AI technology. Visual Data Processing is what enables Sophia to process and respond to what it captures through its eye, which are actually cameras. The cameras also allow Facial Recognition, which in turn allow Sophia to find people and make eye-contact. The Voice Recognition part has been instilled in Sophia by none other than Alphabet Inc., better known as Google. Lately, Sophia has been interacting with people at various conferences, media events, and more. It recently participated at the Future Initiative Conference at Riyadh Saudi Arab, where it was endowed with the citizenship of Saudi Arabia. Earlier, the robot was at a meeting on AI and sustainable development at United Nations. 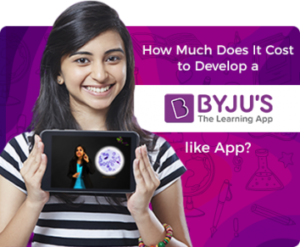 AI can prove to be one of the most useful technological utilities for mankind in upcoming years. 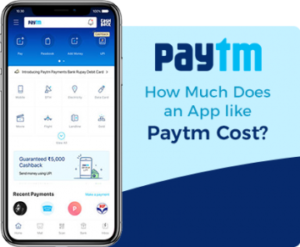 Reducing complex tasks to minuscule; AI in advanced robotics is capable of saving people a lot of time, money and effort, at home as well as at workplace. However, there are always some limits to AI, which should not be explored to keep things on the safer side. We must not forget robots have been created for humans and not the other way around. Power up your business with FuGenX’s advanced AI and Machine Learning services. To avail services, drop a mail at info@fugenx.com or fill this form to hear from us.